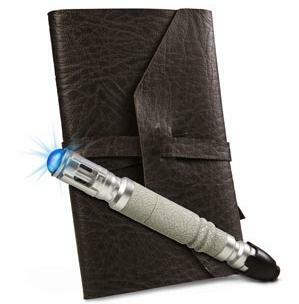 Beautiful Incentives: Dr. Who Sonic Screwdriver Earrings Giveaway! 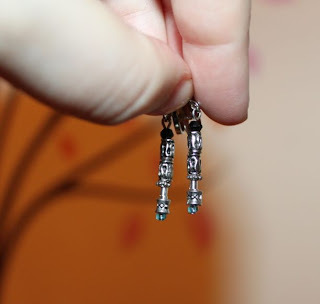 Dr. Who Sonic Screwdriver Earrings Giveaway! 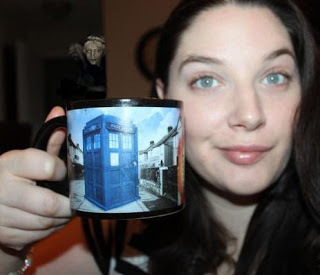 I gathered up a bunch of great fellow bloggers to help me do this awesome giveaway for a unique pair of Dr. Who Sonic Screwdriver earrings. Anonymous Woodsprite on Etsy is the wonderful designer of these beauties. So please give her recognition and check out her other items! Please see her Etsy for pictures of the 4th and 11th generation earrings you will have a choice of, instead of these. Also, her cosplay group is trying to raise money to build a new TARDIS that will be easier for them to transport than her old one. $1 gets one entry. There's a yellow "donate" button at the top of the tumblr: teamtardiscosplay.tumblr.com/ It's unlimited - for every ten entries there will be one giveaway. The winner(s) can pick between the sonic screwdriver earrings for the 10th Doctor, 4th Doctor, or 11th Doctor. All donators will also be publicly thanked on her Facebook page and website. This is an aside and NOT a mandatory thing for this giveaway. If you don't know about Dr. Who, it is a well loved Scifi Fantasy Show, both by Children and Adults alike. "The Doctor", who is really an alien disguised as a human, travels the world and time through space and land. He doesn't do it alone though, he always has a trusty companion to get into cahoots and shenanigans with. 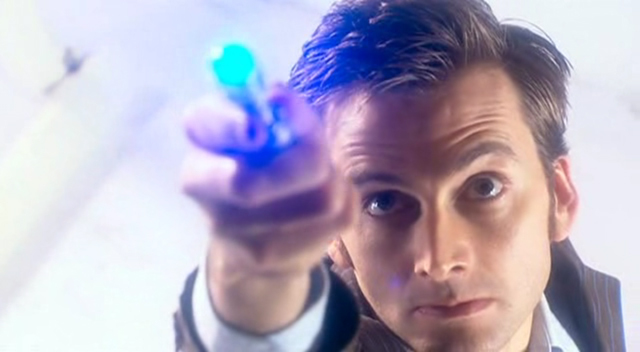 Every so often, the doctor must "regenerate" into a new human form, which carries with it a new version of his weapon for alien eradication, the sonic screwdriver. 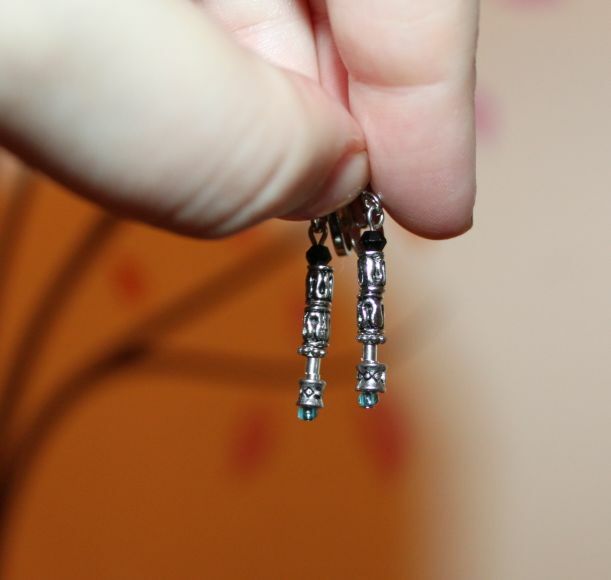 These earrings are based after the 9th/10th generation sonic screwdriver. If you have not checked it out, you must. It's a whimsical & adventurous show and you don't have to love Science Fiction to enjoy it! These sonic screw drivers are made with meteorite pieces and mars crust... ok they're not, but they're still awesome. I can assure you, you will be 1 of very few who will be sporting these. That is until the media spies this and makes a replica in mass quantities! One lucky winner will have their own pair of Sonic Screwdriver earrings in their choice of clip on or regular: 4th, 9th & 10th or 11th generation! Good Luck & Happy Holidays!! Alonsy! I was provided with this product for the purpose of review and was not compensated for my contribution. Beautiful Incentives is not responsible for shipment of this item. The artist will mail out your product and questions should be directed toward her.